So much could be said about a man such as George Ronald Emig Sr. who lived his life to the fullest measure. Always willing to be of service to his faith community as well as the family he adored, he leaves behind a rich legacy of never taking a single day for granted. George was a man of integrity and grit working to provide for his growing family while at the same time enjoying many of his favorite pastimes with his beloved wife and life partner, Casey. There is no doubt that he will be deeply missed by his many special friends and loved ones. Reflecting on the year 1926, The Ford Motor Company announced the creation of the 40-hour work week! The Treaty of Berlin was also signed that year in the hopes that Germany and the Soviet Union would remain neutral with each other if either were attacked by a third party. The improvement in the relationship between the two countries did not last long as Hitler rose to power. 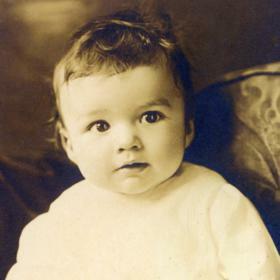 With the media focused on jazz music and celebrities, Frank and Ethel Emig, welcomed home their newborn baby boy, George Ronald on December 9th, in the Lake Michigan beach town of Muskegon, Michigan. Joining his older sister, Maxine, his birth brought great joy to the family home. An active young boy, George kept himself busy with both Cub Scouts as well as Boy Scouts. He was born with a natural athletic ability and tennis was a perfect fit for him. Mastering his serve at a young age put him at an advantage over any opponent. 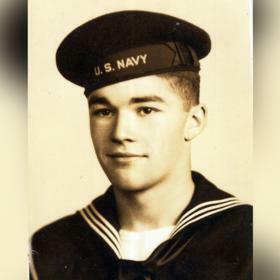 After graduating with the Class of 1944 from Muskegon Heights High School he enlisted in the United States Navy Air Corp and proudly served for two years. Upon his return, he started at the Muskegon Junior College and then went on to pursue an accounting degree from Michigan State Univerisity where he graduated by 1950. It was during those years that he met the woman who would change the course of his life forever, Clarice “Casey” Workman. They met at a summer dance in Grand Haven nearby his hometown and it was love at first sight for George! He worked hard to finish up at school as the courting competition and the distance was tough on them. He eventually won her heart over and they joined in marriage on October 14, 1949. He and Casey wanted nothing more than to spend the rest of their lives together. Without much in their savings, they settled into Barney Hasper’s upstairs apartment before securing enough of a down payment for their forever family home in the beautiful Glenside neighborhood. Surely George spotted the sprawling McGraft Park which included tennis courts nearby before the couple made their final decision. As those courts became the center of their three sons, David, George Jr., and Scott’s childhood. Close in age, they were known to spend countless hours playing on the courts near their home earning themselves multiple tournaments in the area. As a matter of fact, all of the Emigs, including Casey were in love with the game. As a family, they shared many wonderful trips to Florida for spring break and were surely out on the courts! George and Casey raised their children with a strong set of Christian values and were active members of the First Presbyterian Church where George served as an elder, Deacon, and as the church treasurer over the years. A wonderful father, supportive husband, and great provider, George also held many special interests. His love of tennis remained a constant passion of his throughout his adult years. Widely known throughout the community as an outstanding tennis player, George held the honor of the Greater Muskegon Men’s Tennis Champion several times. He was an active partner in the Westshore Tennis Club and also played in the Senior Olympics with his doubles partner, Jim Buck. Not only was he great on the courts, but he was also a remarkable golfer! 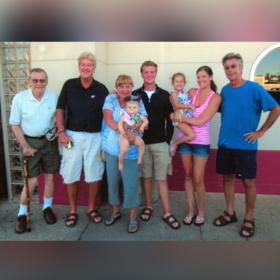 He and his sons as well as his, as well as his grandsons, were always top performers in the annual father-son tournament at the Muskegon Country Club where he was a member for many years. The best part about being an avid golfer and tennis player was that he could share the same interests with his wife, Casey. The two of them shared many friendships and long-lasting memories doing the things they loved. 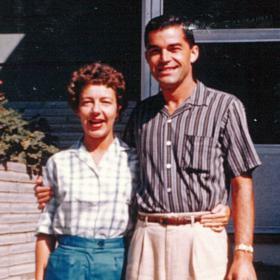 No greater testimony of his love for her was during the years she struggled with the progression of Alzheimer’s disease. George tenderly cared for her and when she later went to live at Seminole Shores, he faithfully visited her each and every day until she passed away in 2011. He leaned on the support from his family and friends and enjoyed dining out and doing the best he could to remain active. Later he moved into an assisted living community where he continued to enjoy the company of others. George was indeed a good man through and through. A hard worker and faithful servant, he lived his life without regrets. May his loved ones never doubt the love he had for each and every one of them and may his wonderful collection of memories and gentle ways will live on in their hearts forever. 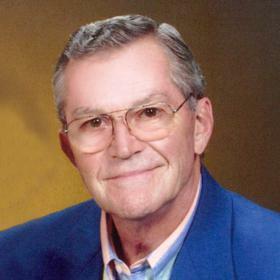 Mr. George Ronald Emig Sr., age 92, passed away on Tuesday, April 9, 2019. George had been employed as a Certified Public Accountant for Sappi Paper Mill until retiring in 1990. He was an active member of Forest Park Covenant Church. He is survived by his sons, Dave (Lisa) Emig of Norton Shores, George Emig Jr. of CA, and Scott Emig of CA; grandchildren, Lindsay (Phil) Mixter, David (Allison) Emig, Derek Emig, Alexis Emig, Nicole Emig and Kristopher Emig; great-grandchildren, Addison, Aubryn, Aryia, and Mackenzie. He was preceded in death by his loving wife, Casey, and his sister, Maxine Harry. A service is planned for Friday, April 26, 2019, 11:00 AM with visitation one hour prior to the service at the Clock Chapel – Muskegon.